The thing that screams Spring to me is all the pretty pastels.....and neons but today we're going to talk about pretty mints and peaches. Living in the Peach State, I feel like i'm starting to crave the color more and more. It really complements so many colors extremely well. 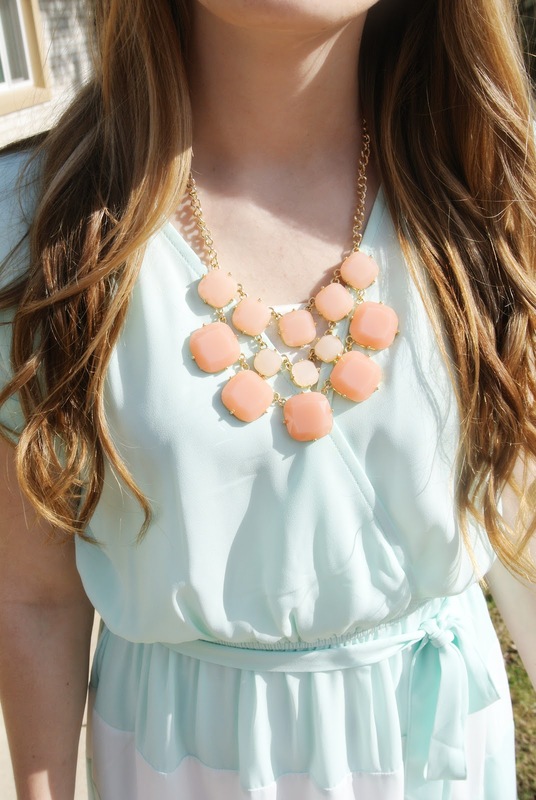 I love how ashley paired her peach necklace with this mint and white sun dress. Scroll to the bottom for more fashion inspiration to add mint and peach to your wardrobe! Bonus!! 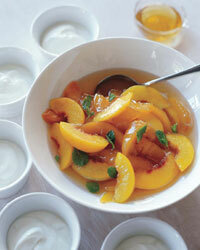 Try this yummy Confit of Peaches with Mint Dessert. Perfect for a brunch with the ladies. Today is Thursday and it's a great day. We're getting our carpet put in and will be moving into our house this weekend!! I hope everyone has a great day make sure you stay tuned tomorrow for Five Favorites, and then next week we're going to be talking about AWESOME workouts you can do at home!! You won't want to miss it! Beautiful outfit! 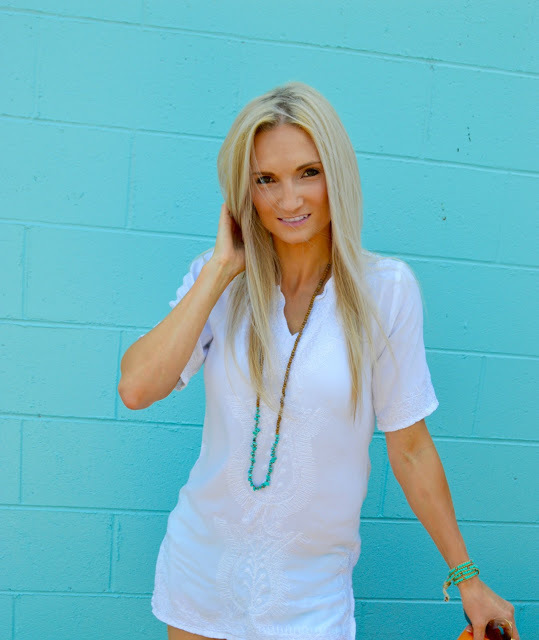 I'm visiting from Fashion by Marah! I love your blog design, Marah did a great job on it! Oh good! I hope you stay a while ;) Thank you very much I love it as well! I really like getting different styles on my blog to give my readers different ideas. Mariah did an AWESOME job didn't she!? 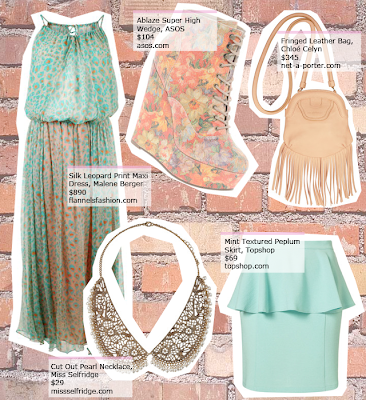 I'm in love with my new blog look!! It is hard to find leather jacket in this style in stores while I really love its colors and design.I am very very happy with the leather jackets from cwmalls.com and how it looks on me.